The Association has protected over 7,002 acres of open space in the Eno River Basin since 1966. 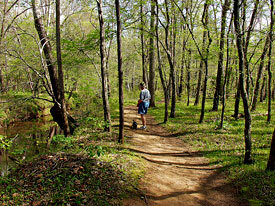 Most of this land is in the Eno River State Park and several other local parks and natural areas. The Association also owns 277 acres of protected lands and holds conservation easements on an additional 829 acres. 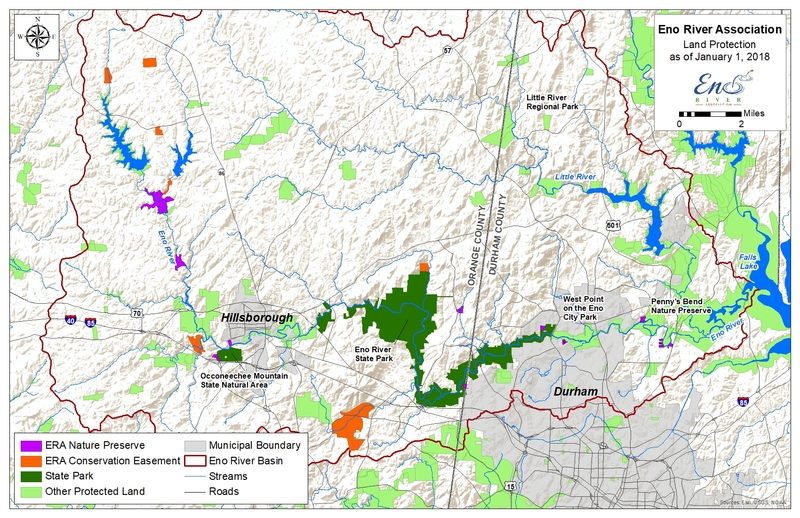 While the majority of the conservation and parklands found within the basin are open to the public, the Association and its partners attempt to responsibly manage all lands to protect the unique conservation values of each. This sometimes requires limiting access. Other lands are closed to the public because they are privately owned, as in the case of land protected under conservation easements. Contact information for the conservation and parklands listed below can be found on the linked pages.